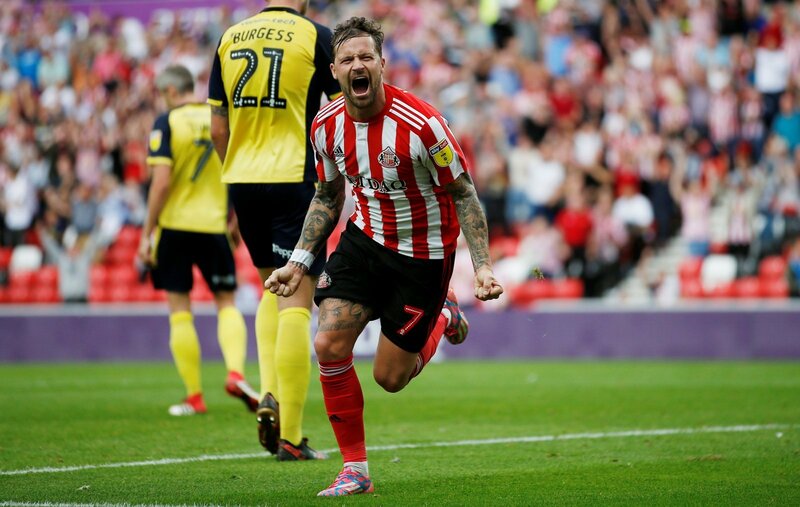 Sunderland will not be losing forward Chris Maguire after they successfully appealed the red card he was given against Luton on Saturday. The 29-year-old was shown a straight red in stoppage time at the Stadium of Light for an alleged stamp on Alan McCormack after the pair had clashed. However, the Black Cats were adamant that hadn’t happened and launched an appeal. And, the FA confirmed on Twitter this afternoon that after the incident was reviewed, they felt the League One side had a case and the appeal was successful. That means that Maguire will be available for Saturday’s trip to Scunthorpe as well as games against Wimbledon and Oxford. That is a big boost for Jack Ross, with Maguire an important player for the team having weighed in with seven goals so far this season. And, it’s fair to say that the Sunderland fans were relieved at the decision, although they were annoyed that it’s the second time they’ve had a decision overturned. That’s two reds rescinded already this season….???? JUSTICE! That ref was bloody appalling. Great news! The ref should be fined though. Yet another example of Probert's diabolical refereeing. Little wonder he is tumbling down the leagues. League One clearly too big for him as well. I wouldn't wish him on a Sunday league team! Small mercy but at least it didn't affect the result in the end.